The Keystone XL pipeline project will continue to languish in regulatory limbo with the US administration announcing another delay in the controversial approval process on Friday. The Canadian government had asked for an immediate decision on the $5 billion pipeline, so that construction could begin this summer, but 8 federal agencies said more time is needed to review the project which has been complicated by a court dispute in Nebraska. 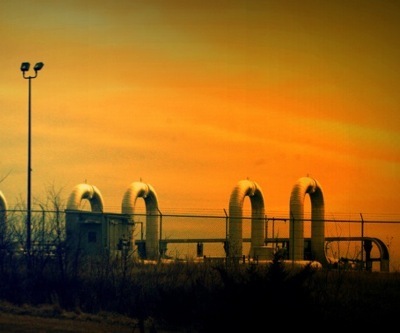 "Agencies need additional time based on the uncertainty created by the on-going litigation in the Nebraska Supreme Court which could ultimately affect the pipeline route in that state," according to the announcement from the State Department. The legal action is only expected to run its course by the end of this year at the earliest. The proposed project would transport crude from the Canadian oil sands in Alberta to refineries on the US Gulf Coast and should counteract some of the pricing pressures bitumen producers are under. Supporters have said it would be a boon for job creation and domestic energy production, but opponents have warned that oil extraction from the tar sands —among the most carbon-intensive methods of energy production— would likely increase should the project be approved.